Reproduction for other than private use is prohibited without the prior written consent of Private Islands Online. Private Islands Online is not a real estate broker or agent, and is not registered as such. The information available on this site is intended to provide you with general information only. The information concerning any given island property shown on this site has been provided by the owner or the owner’s broker and has not been verified by us. Private Islands Online makes no warranty or representation, expressed or implied, as to the accuracy of information contained in advertisements. Anyone (seller or buyer) placing an advertisement on the domain of Private Islands Online assumes responsibility for the advertisement’s accuracy. 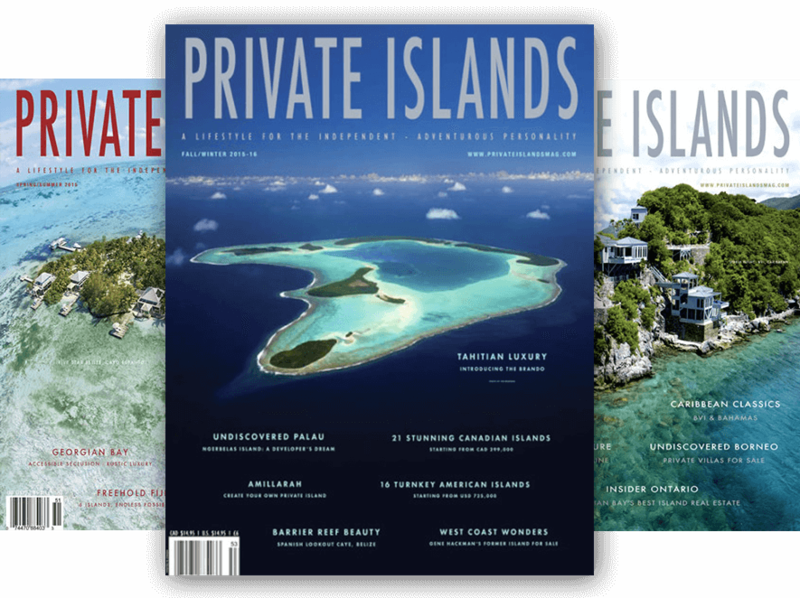 Private Islands Online publishes advertisements as they are received and is not responsible for typographical errors, misprints, omissions, or misinformation. Private Islands Online is not engaged in the negotiation of transactions on behalf of any party and visitors to the site are advised to conduct any negotiations with agents or legal counsel of their choosing. Private Islands Online cannot guarantee that the site will be accessible 100% of the time. Downtime due to maintenance, updating, problems with the host server or other reasons may occur, but every reasonable effort will be made to ensure that these situations are kept to a minimum. Offsite links are provided by paying advertisers or for information purposes. By following any offsite links contained on the domain of Private Islands Online, each person assumes responsibility for any contracts entered into, purchases made, and any situation or event that may arise. Imagine having your own private island for a week, for a month or forever… The islands for sale and rent featured here offer a chance to escape from the ordinary to a personal place without limits and borders.